Honoring the passing of the U.S.S. 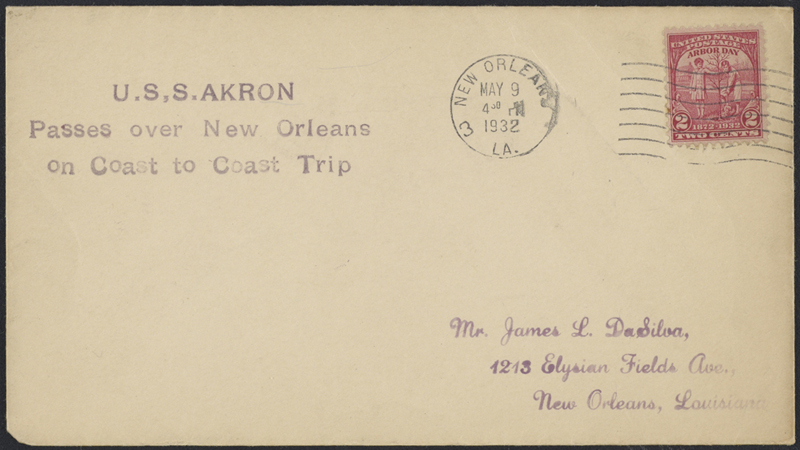 Akron over New Orleans; postmarked May 9, 1932. 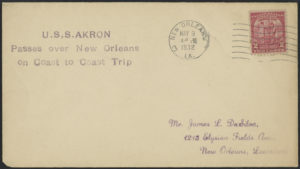 The Akron (ZRS-4) was a helium-filled rigid airship (that is, a dirigible or zeppelin) of the United States Navy that was lost in a weather-related accident off the New Jersey coast April 4, 1933.